Have you found an online vendor selling Elements 8 Platinum? this is the best white rum I have had so far. a clear step up from the standard cuban offerings such as ron caney or havana club 3. 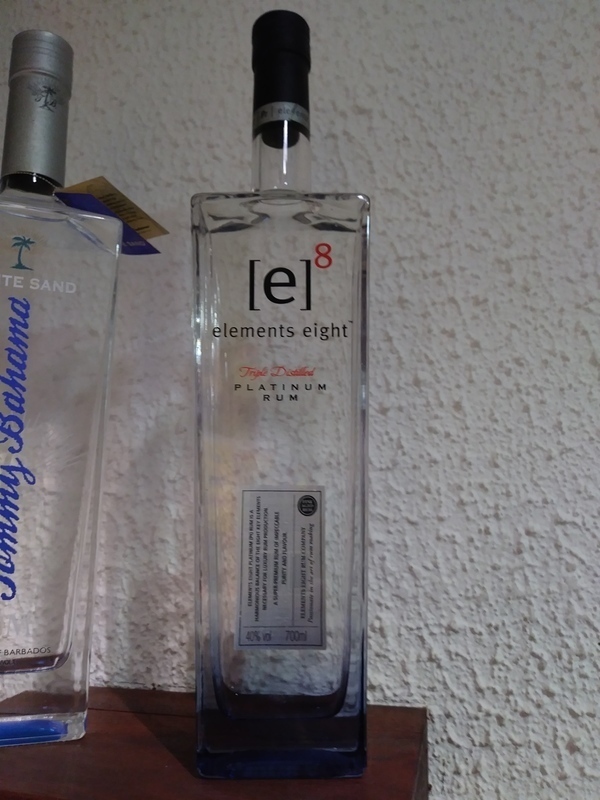 Bought a bottle of Elements 8 Platinum while vacationing in Guadeloupe. Unique bottle and label design. Dry, woody, citrus and pure alcohol to the nose and palate. Very strong burn at the end being so dry. This is a mixer rum more than a neat sipper. Le meilleur rhum blanc que j'ai goûté, vraiment doux et léger. This rum got very nice flavors but is very delicate thus leaving it to sip or make daiquiris with (or other simple cocktails where the rum is allowed to shine almost alone) it has some creamy buttery notes and is very smooth. It's a creamy, light and flavoursome white rum. Worth picking a bottle up and tinkering with it. For me, this is the best white rum about, its fresh, clean and crisp with hints of citrus fruits. A Medium bodied rum which is great for Mojito's!! Completely clear and very smooth for a light rum. Has a slight maple taste with fruity aftertaste. Wouldn't drink alone, but mixes very well with a shot of coke!